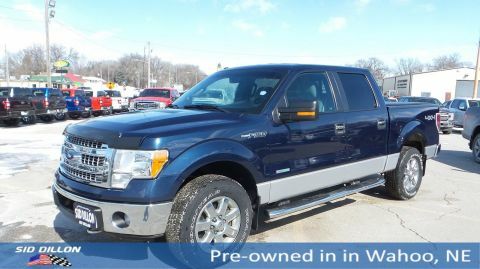 Check out this 2014 Ford F-150 XLT before someone takes it home! 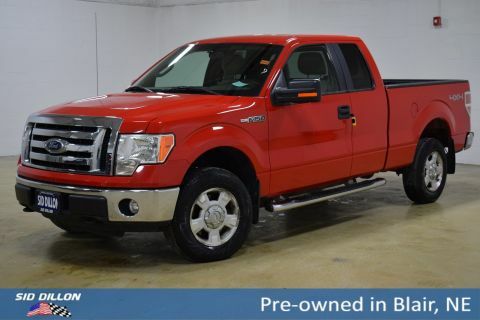 ENGINE: 5.0L V8 FFV -inc: GVWR: 7,350 lbs Payload Package, 3.55 Axle Ratio , Wheels: 17 Machined-Aluminum w/Painted Accents, Variable Intermittent Wipers, Urethane Gear Shift Knob, Transmission w/Oil Cooler, Towing Equipment -inc: Harness and Trailer Sway Control, Tires: P235/75R17 BSW A/T (5), Tailgate Rear Cargo Access, SYNC Voice Activated Communication & Entertainment -inc: 911 assist and vehicle health reports, SYNC Applink provides control of certain smartphone applications using SYNC voice commands, Connect to apps like Pandora and more w/your iPhone, Blackberry or Android platform mobile phone, Steel Spare Wheel. As reported by KBB.com: If you're looking for a more personalized pickup truck, Ford's F-150 for 2014 offers one of the most varied and distinct line ups in the business. From trims to work options to cutting-edge electronics and infotainment systems, there is an F-150 for just about everyone. 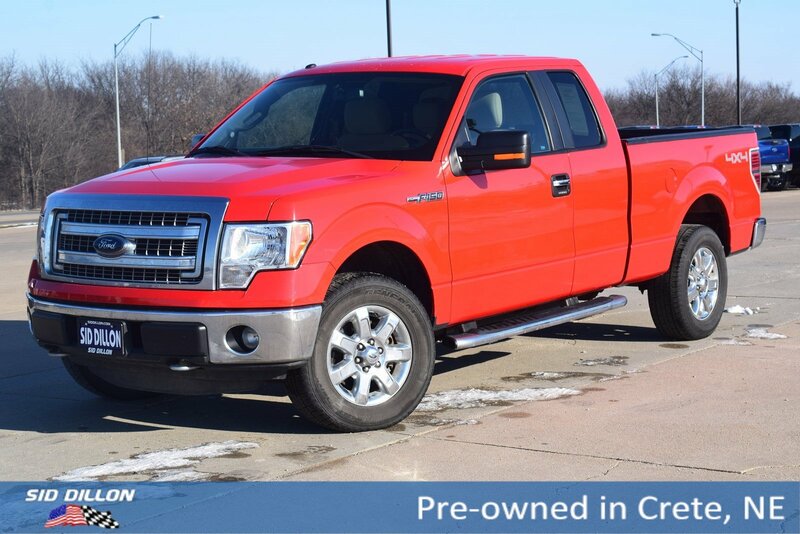 A short visit to Sid Dillon Crete located at 2455 Hwy 33, Crete, NE 68333 can get you a tried-and-true F-150 today!